This year, we are pleased to work with the following hotels. Located just a few blocks away from Cowles Commons, these properties are perfect for guests visiting Christkindlmarket Des Moines. Book your group rate for 2018 Christkindlmarket – If calling, mention “Christkindlmarket Des Moines”. It’s Time to Tee-Up for DMEHA! The Des Moines European Heritage Association is partnering with The Prinicipal Charity Golf Classic’s Birdies for Charity program. This is your opportunity to support DMEHA’s mission of bringing cultural-based education, fun and activities to Iowa, including children. For every donation made, Birdies for Charity will add 10 percent! To participate, you can pledge a flat amount until July 31st, or if you pledge by June 7th, you can pledge so much per birdie made during the entire tournament (last year there were 821 birdies, so 10 cents per birdie would equal $82.10). Regardless, it’s a great way to show your support of DMEHA to keep our programs going and growing, including the Language Offerings and Christkindlmarket Des Moines. 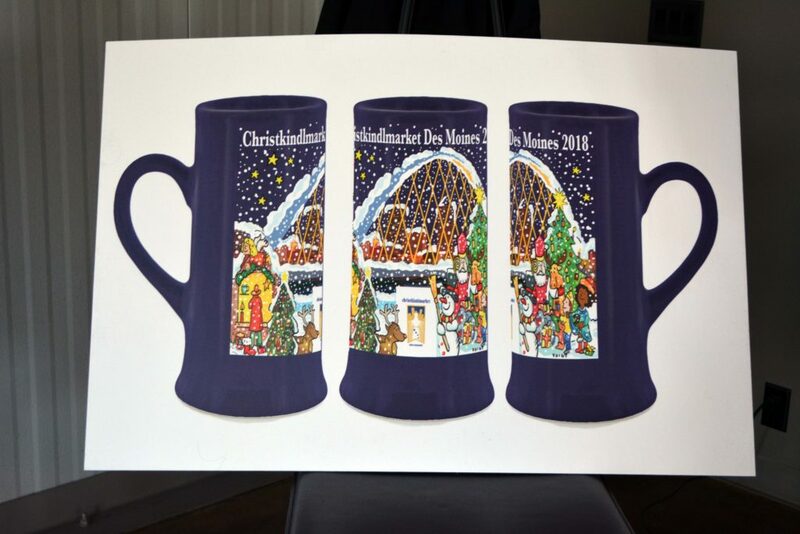 Any donations of $25 or more will qualify for a 2018 Christkindlmarket Des Moines commemorative mug upon payment. Several people were the first to view Christkindlmarket Des Moines’ 2018 Glühwein mug design at Jasper Winery on Tuesday, April 17. 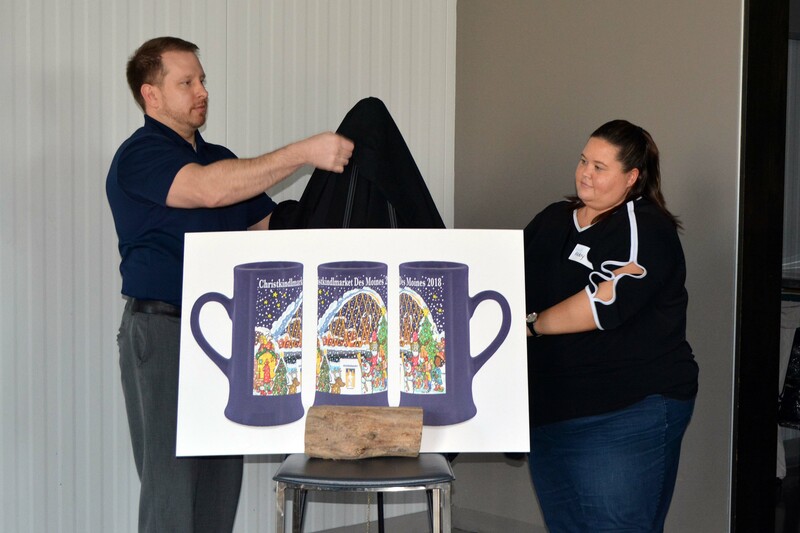 They sipped the signature drink (warm mulled wine) while shopping a mini market featuring foods and handcrafted items from Christkindlmarket Des Moines 2018 vendors. 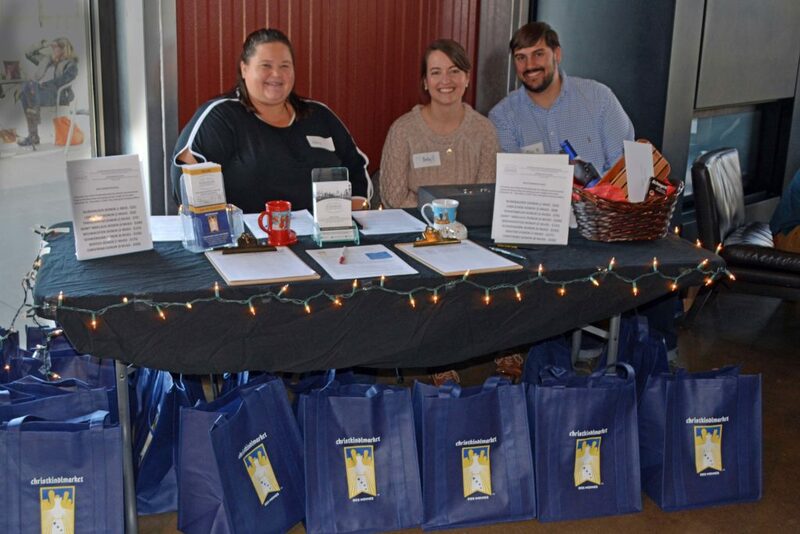 The first 25 attendees to donate $25 (or more) to guarantee their 2018 mug received a goody bag. Make your donation today! Andy Klindt is an Iowa artisan specializing in chainsaw sculpture, wooden ware, and metal design. Andy uses native Iowa timbers for his wooden creations, utilizing anything from chainsaws to hand tools. When blacksmithing, Andy uses traditional methods to forge his metal art. 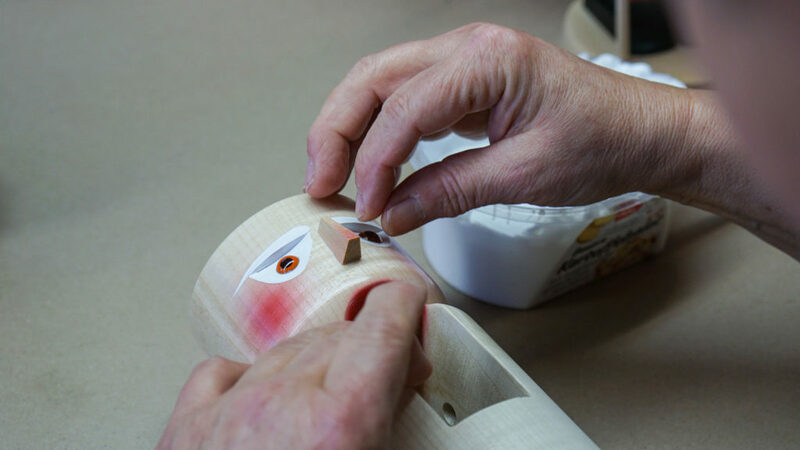 Fanciful , functional, or a fusion of each…watching Andy craft original pieces is sure to delight people of all ages! Christkindlmarket Des Moines has to be one of our favorite events! From the volunteers that work hard making sure everything runs smoothly, to the patrons that come out and enjoy all that the market has to offer, Christkindlmarket Des Moines is beyond compare! 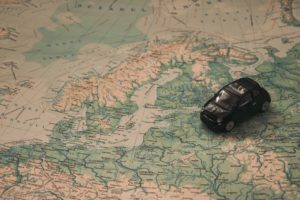 There are so many unique gifts to choose from, the food is warm and wonderful, the entertainment is excellent, and of course the Glühwein alone is worth the visit!! 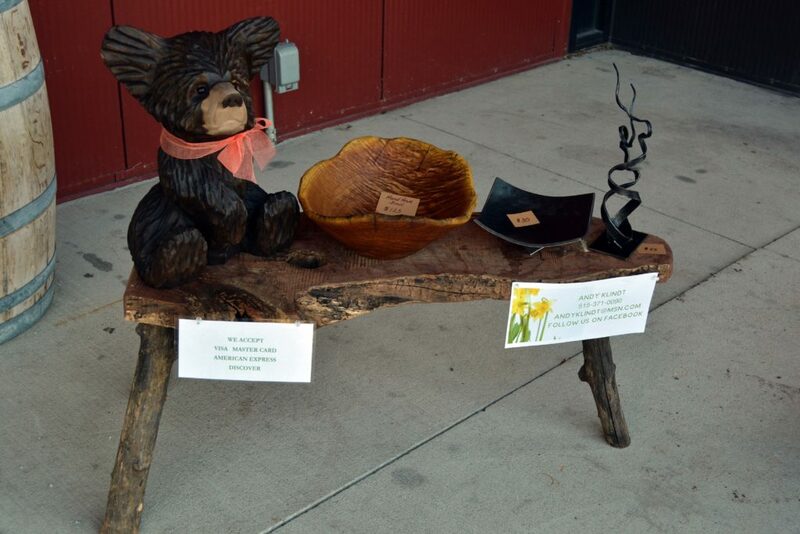 This year Andy will have chainsaw carvings (including new designs! 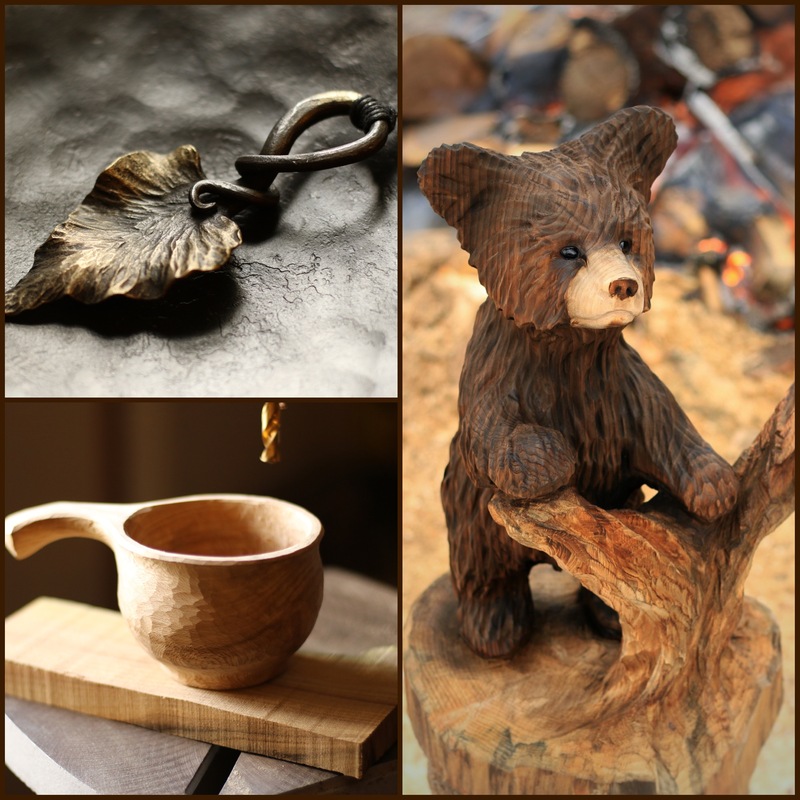 ), wooden ware, metal art, and Christmas ornaments. We hope to have something for everyone! 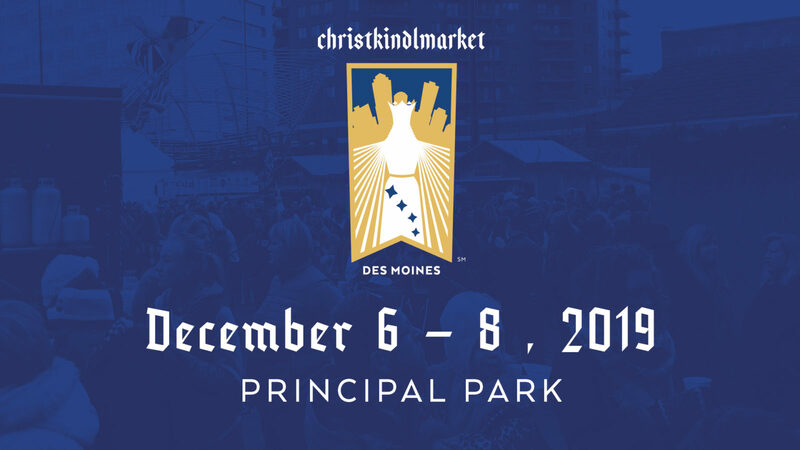 We can hardly wait for ChristkindlmarketDSM 2018!!! 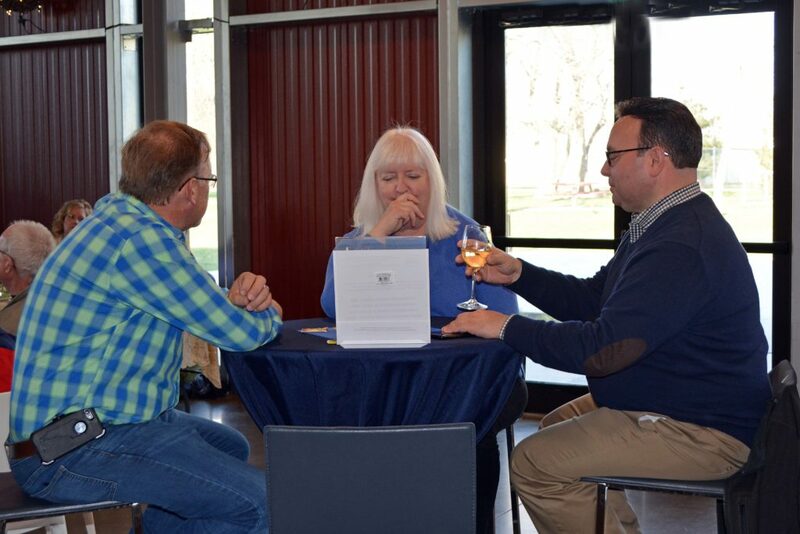 We’re please once again to have The Museum of Danish America join us as a Platinum Sponsor of Christkindlmarket Des Moines taking place this November 30 – December 2, 2018. 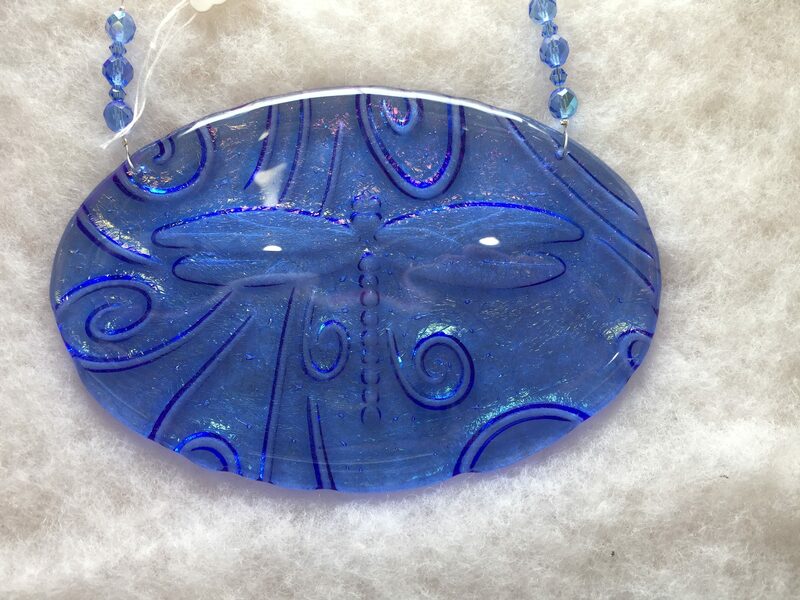 Indianola Glass Creations is a small business in Indianola, Iowa. 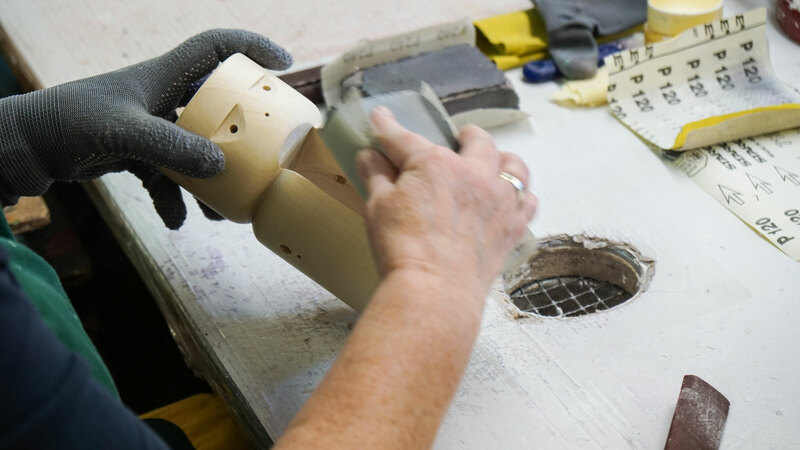 We make glass artwork, but we also have all the tools one would need to start doing stained and fused glass on their own. 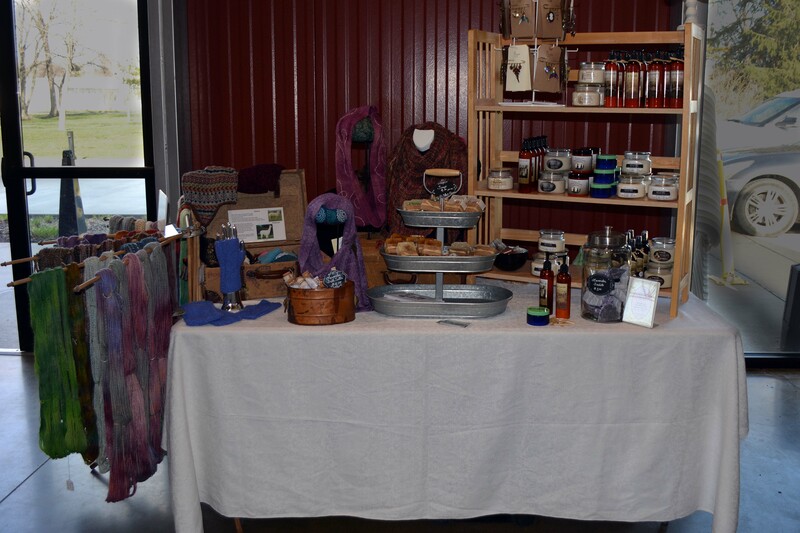 In the store we create seasonal items, jewelry and take custom orders to meet the customer’s wishes. Glass classes are offered through out the month and we have a room set up for ceramic painting. We decided to join Chistkindlmarket because we felt when you think of Germany you may think of glass. This also allows people to buy unique Christmas gifts for their friends and family while supporting a small business. 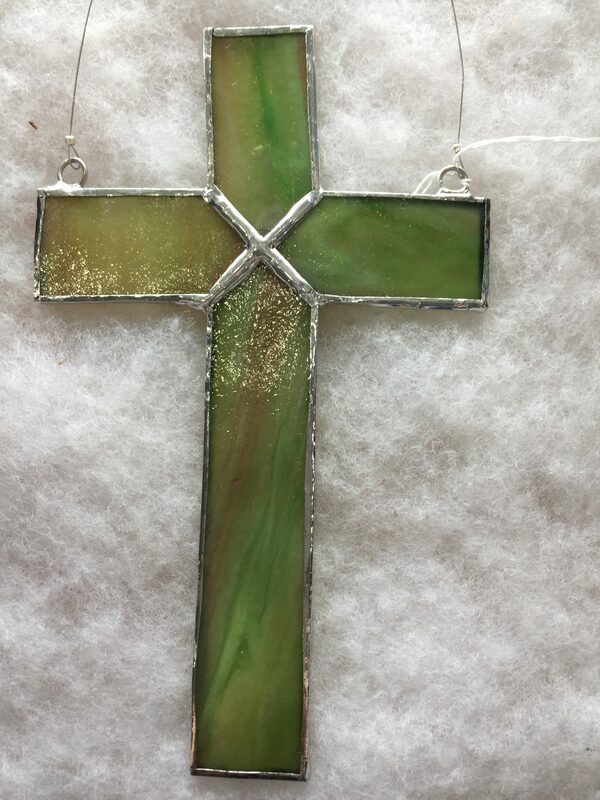 We will be selling unique stained and fused glass gift items as well as hand crafted German Heritage items. 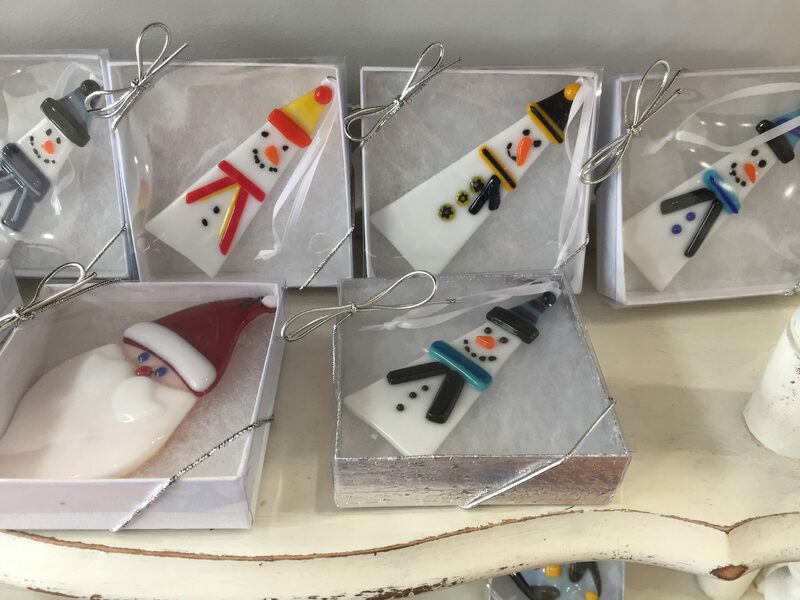 There will be a variety of Christmas ornaments, hand painted items on glass, and other small hand crafted items that will make the perfect Christmas gift. 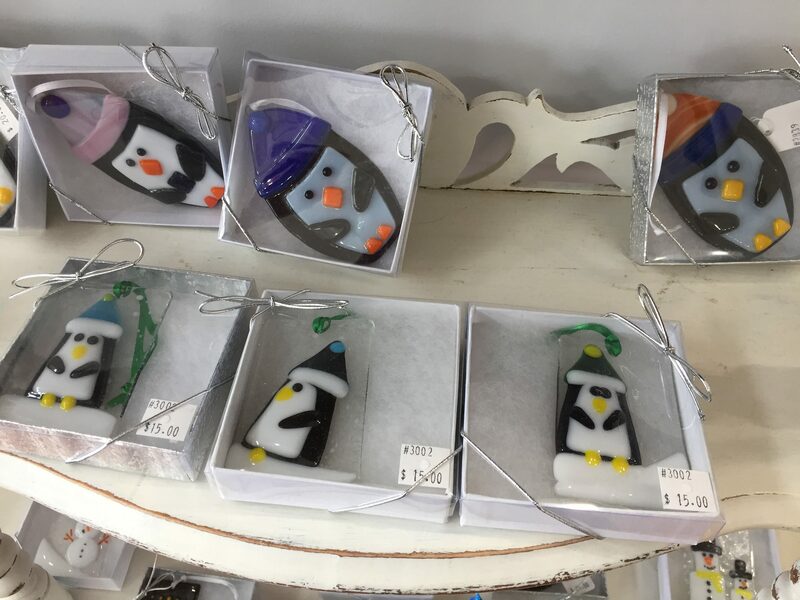 At Christkindlmarket Des Moines, customers will only see a fraction of what we have to offer and they can see a larger selection at the store in Indianola. 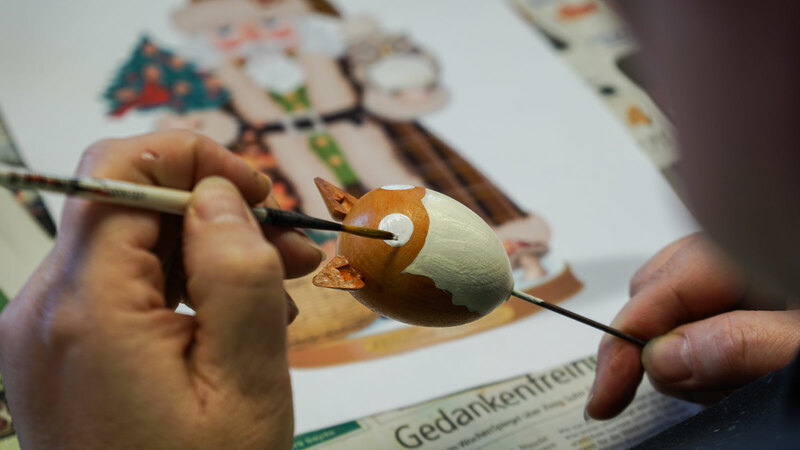 The Steinbach company from Marienberg in the Ore Mountains has been producing nutcrackers, smokers and miniature figures in the traditional way for over 200 years and stands for top quality from its own production in Germany. 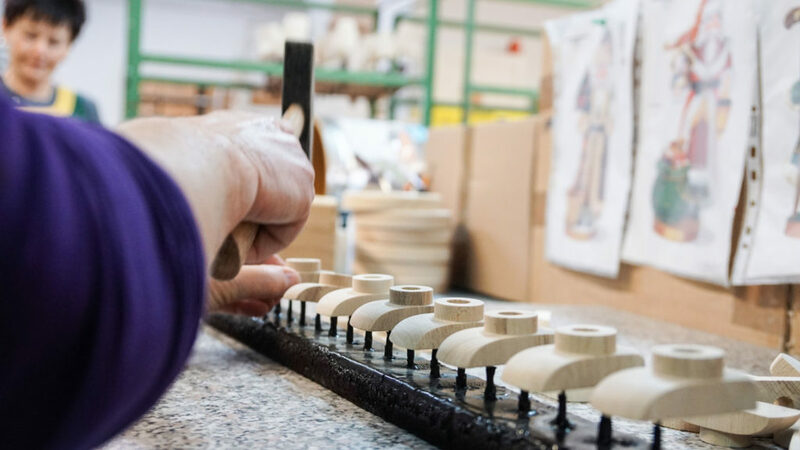 All figures are “Handmade in Germany.” Each piece of wood that we love to make in our factory is unique, because wood is a living resource, and every single piece has its own story, a story we continue to write. 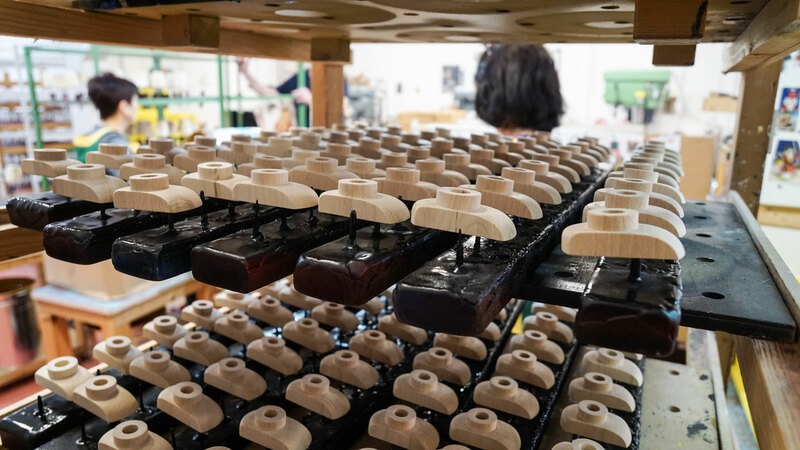 Each step, every detail and every brushstroke is carried out with care and dedication.The entire production process from creation through sampling to final production takes place in our factory in Marienberg in the Ore Mountains. 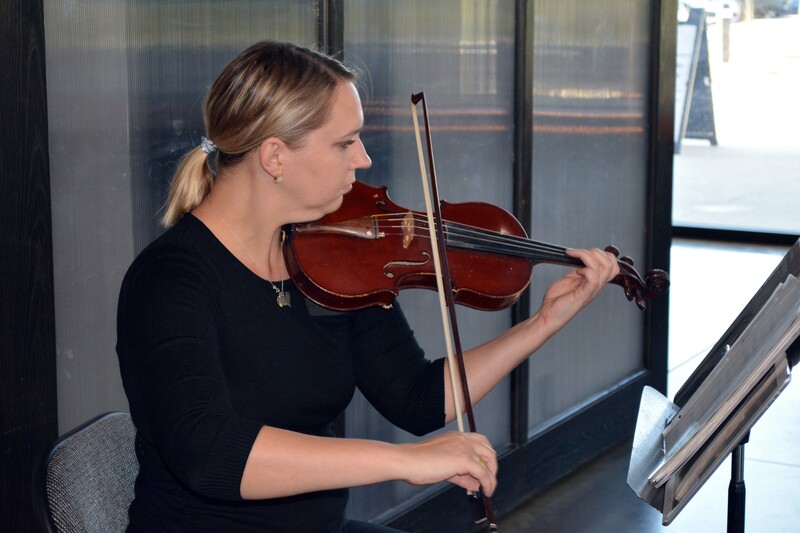 Experience tradition – experience Steinbach. 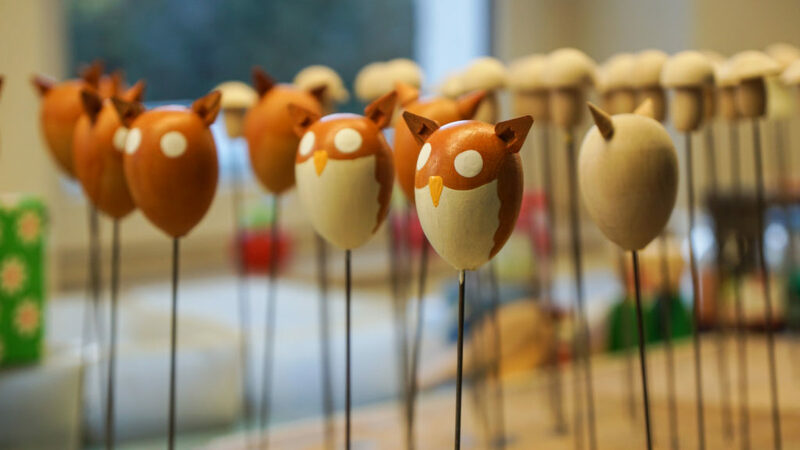 We want to bring the magic of the Ore Mountains into the homes of people all over the world. The Christkindlmarket in Des Moines corresponds exactly to our ideas to transport this magic perfectly. 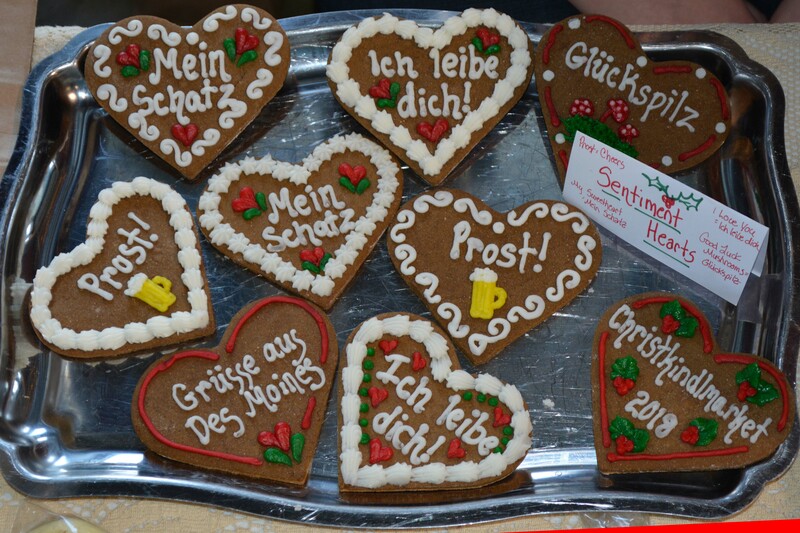 A Christmas market, which offers German goods of all kinds and inspires and entertains its guests. A concept that fits our philosophy. We look forward to becoming a part of this community this year. We are looking forward to it and are very excited about the residents of the beautiful city of Des Moines. 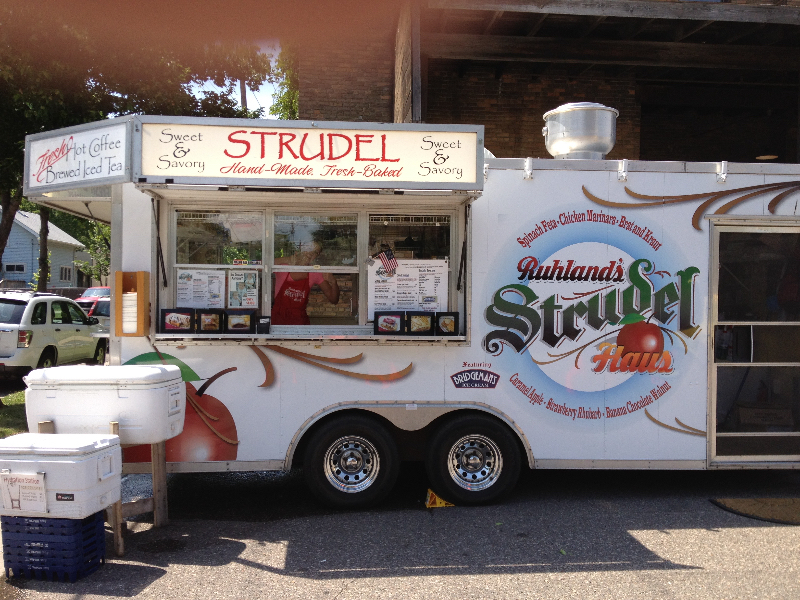 Founded in 2002, Ruhland’s Strudel Haus is a maker of fabulous sweet and savory strudel. We are inspired by the belief that food is one of life’s’ celebrations and is integrated into our relationship with the Earth and one another. Our mission is to provide a unique experience of common union. Our hope is that what we make will gather people around the table to celebrate the love and community found in family and friends. Our goal is to create food that brings joy and delight. We were asked to be part of it last year. We have been involved in the Christkindlmarket in Excelsior, MN for the last 12 years. it runs over Thanksgiving weekend. We make 48 varieties of both sweet and savory strudel. 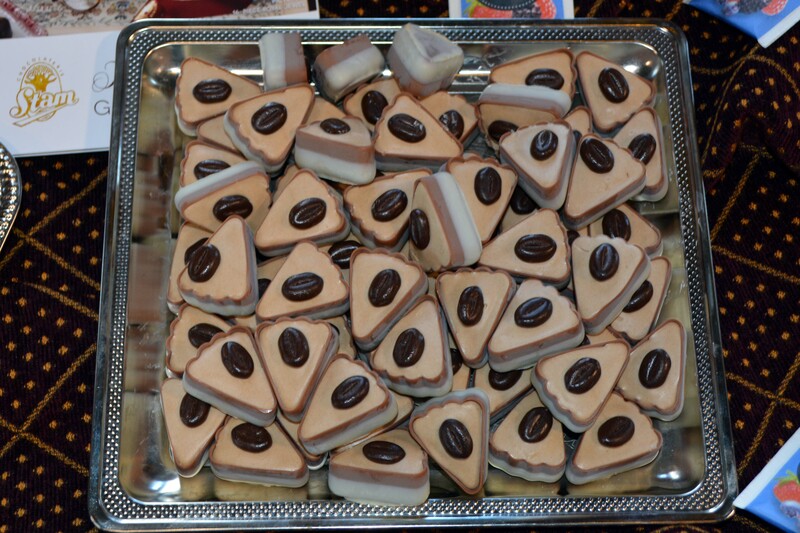 We sell them as a take-and-bake product in many farmers markets in the Twin Cities. Hopefully, by the time we are at the market in Des Moines we will be able to ship our frozen strudels to Iowa. Food trucks are a rising tide lifting all boats in the local restaurant industry into a growing new ocean. Without a doubt, Food Trucks have grown in popularity in the Des Moines area greatly since 2015 and we did no want to wait one more moment to get in on the fun. But Curbin’ Cuisine did not start then, it launched in 2013 as a street food cart and went to many farmers markets, city festivals and breweries. 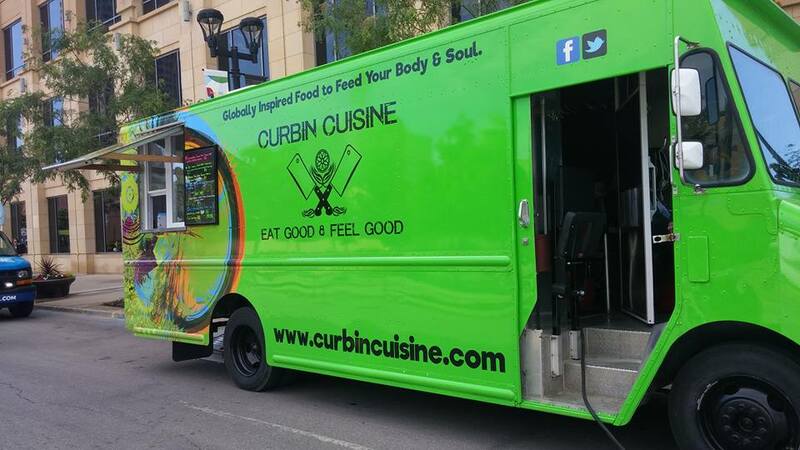 With popularity growing quickly from their delicious cuisines, in January 2016 Curbin’ Cuisine Food Truck & Catering launched. And within one very quick and great year, Curbin’ Cuisine was voted top 3 Best of the Best Food Trucks by the viewers of City View Magazine in 2017. Curbin’ Cuisine is exactly as their motto reads, “Eat Good & Feel Good”. Their globally inspired foods will feed your body & soul as they are made with mixed flavor fusion with tasty sauces & spices and prepared fresh & fast with one goal in mind, a satisfied happy customer. Curbin’ Cuisine’s Food Truck Menu IS one you will NEVER forget. It will keep you coming back for more time and time again! The staff is fast, fun & friendly and most importantly the food is forkin’ delicious. 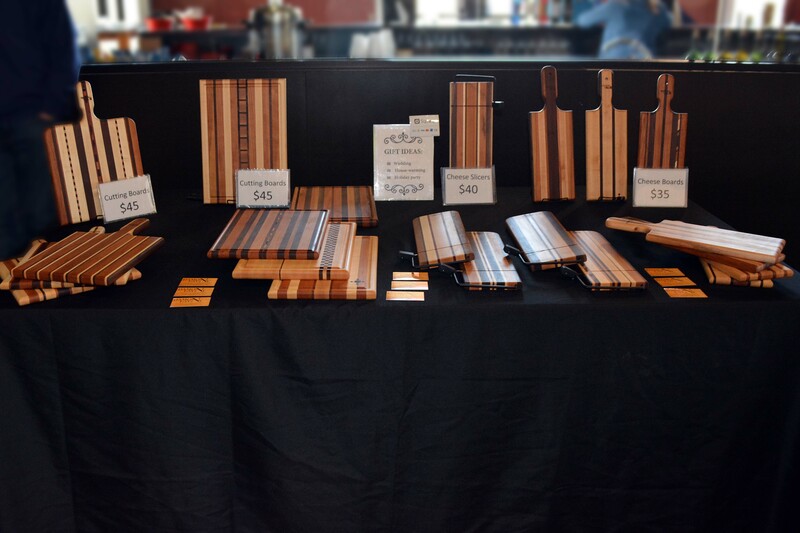 Curbin’ Cuisine loves to be apart of unique, one of a kind, festivals in the Des Moines area. Christkindlmarket is just that. It is fun, outdoors and the event coordinators are awesome to work with.